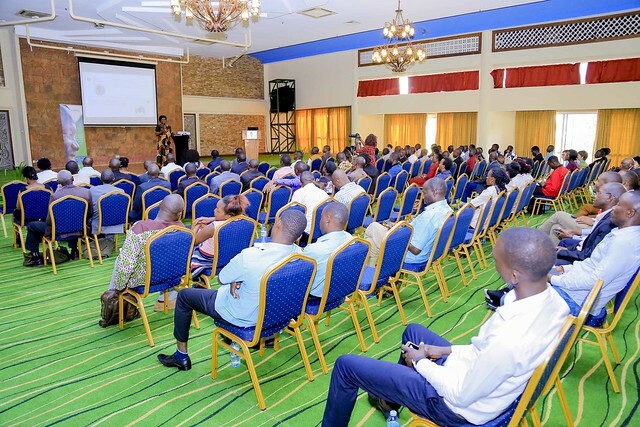 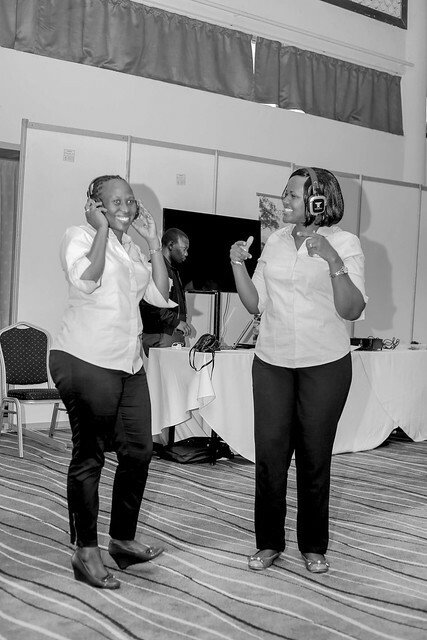 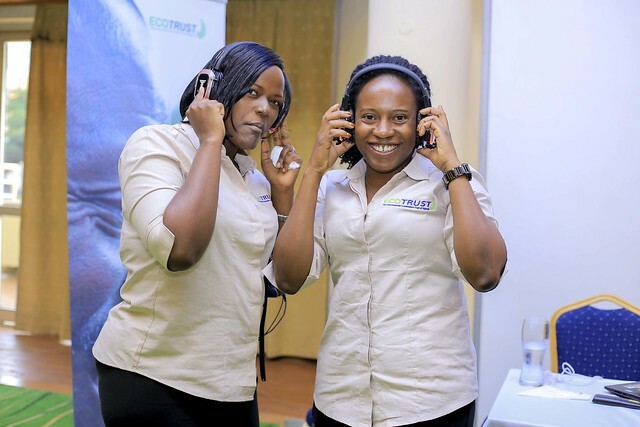 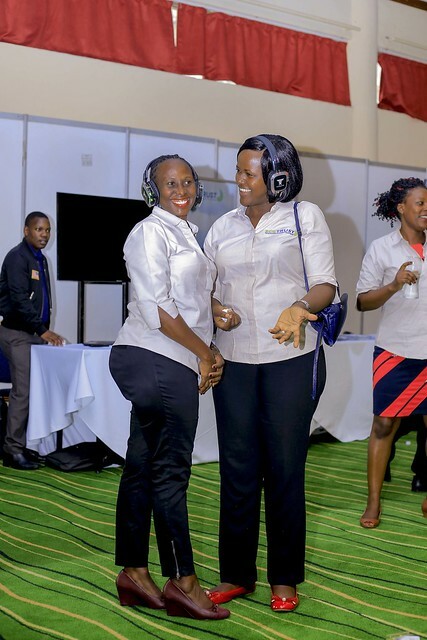 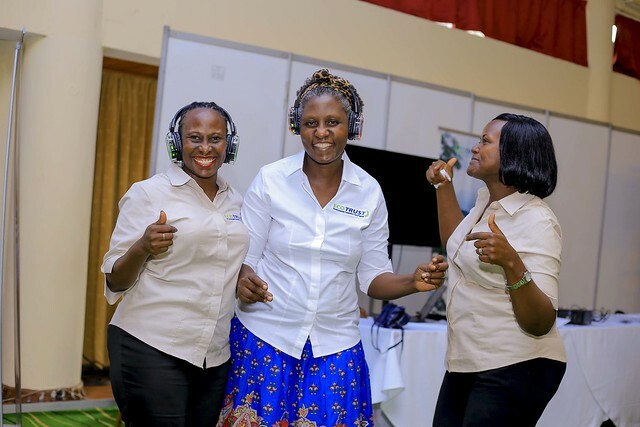 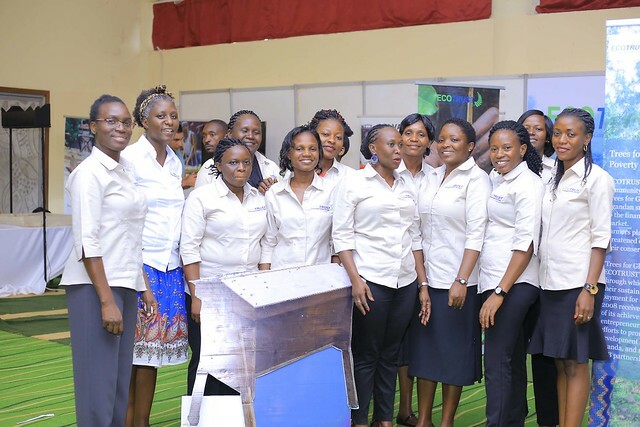 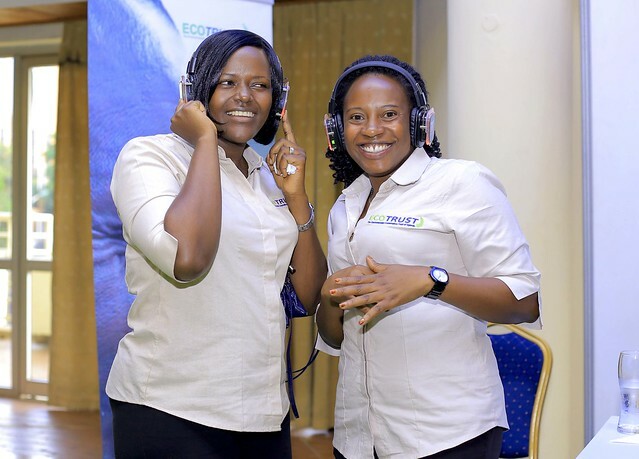 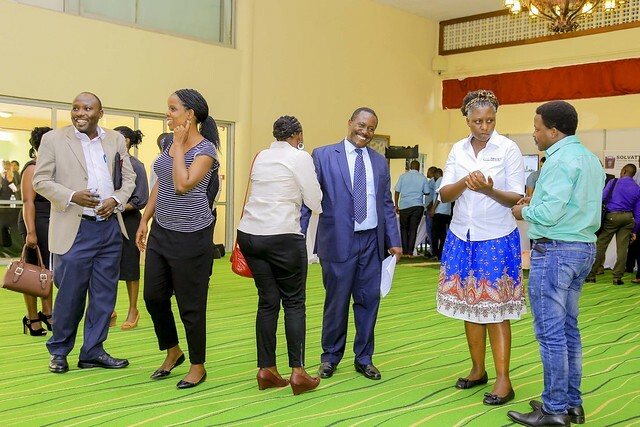 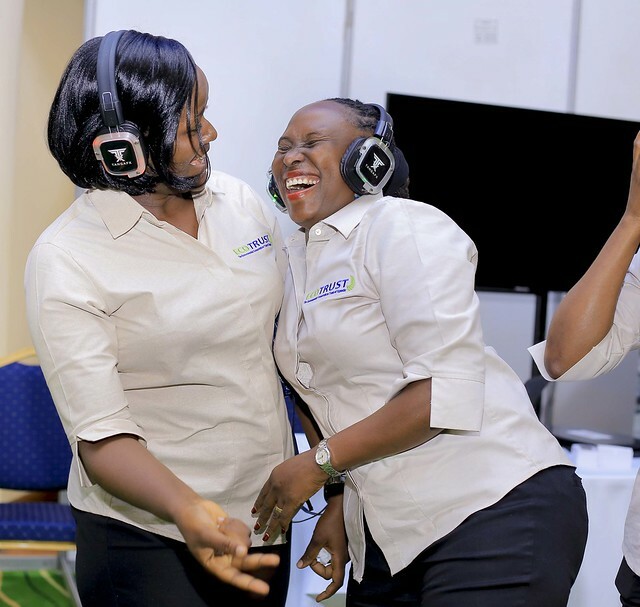 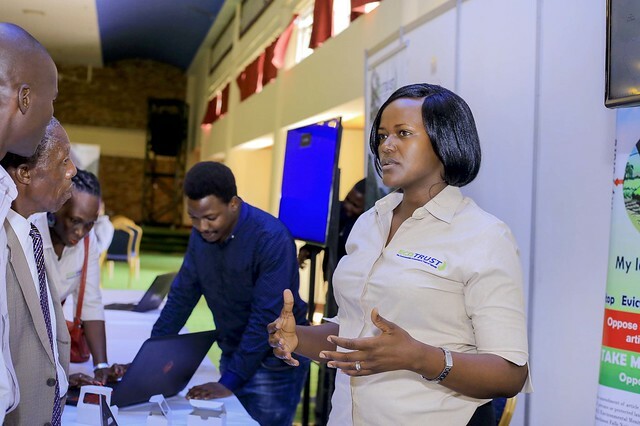 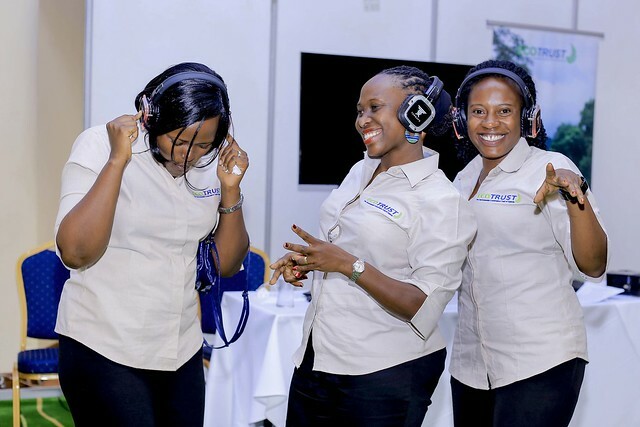 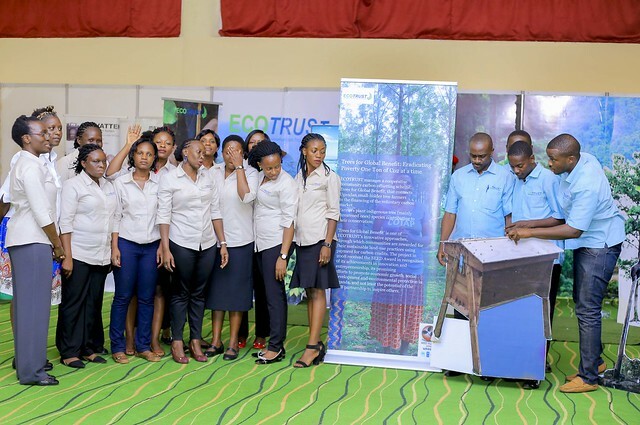 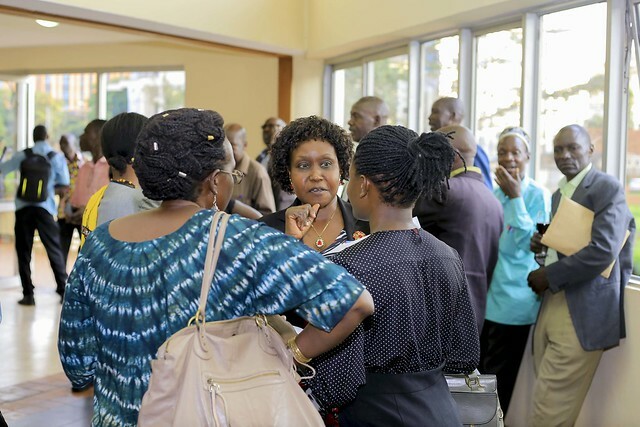 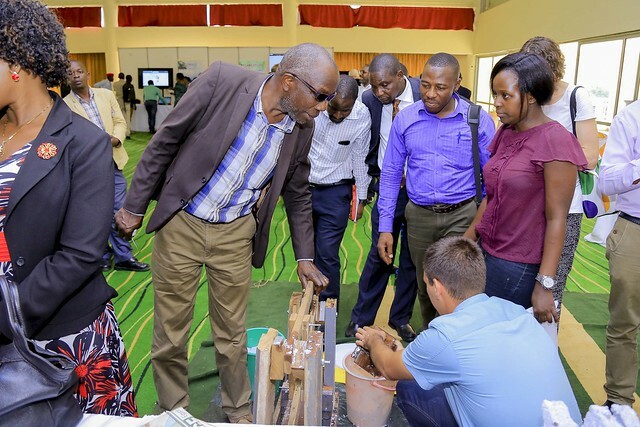 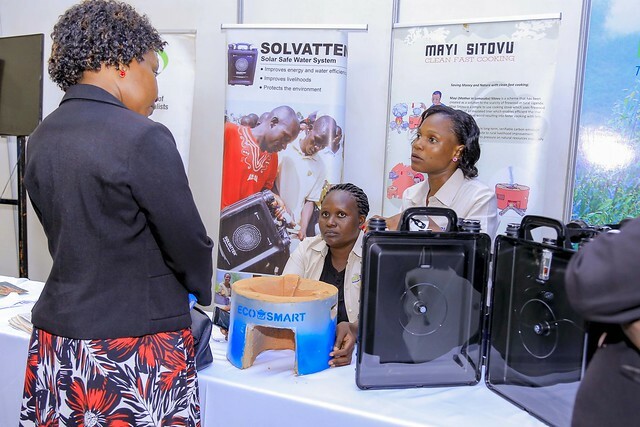 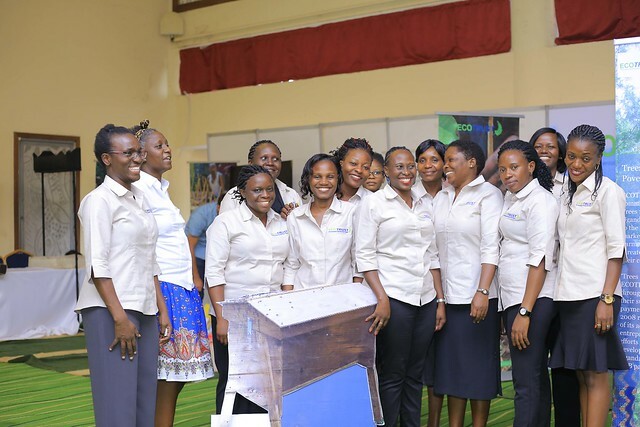 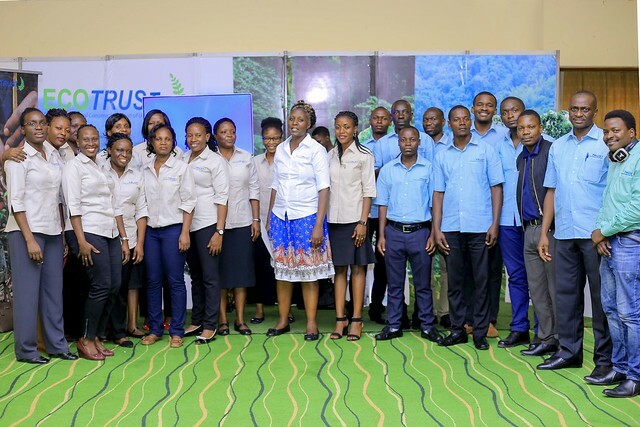 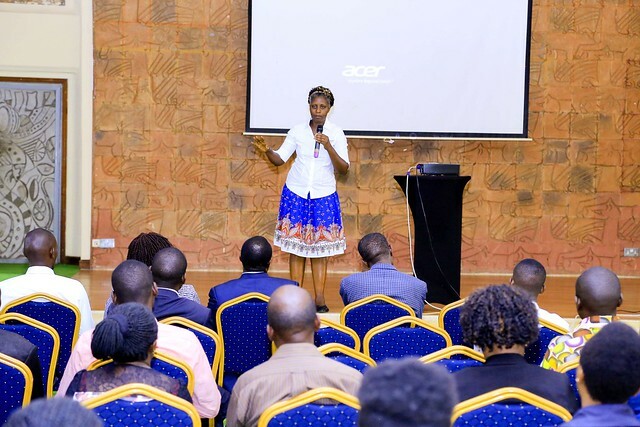 The ECOTRUST Stakeholders Event, held on an annual basis, presents an opportunity to dialogue, update and consult with the organization’s stakeholders ranging from Government to the General public. 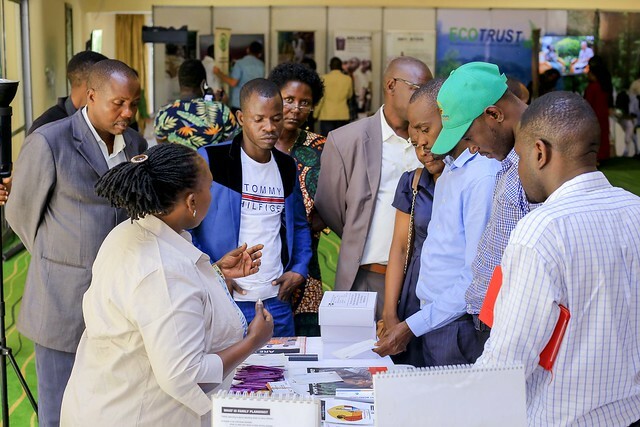 This year’s event, under the theme “Trees for Global Benefit at 15: Building Resilience of Businesses, People and Landscapes to Climate change” was a celebration of ECOTRUST’s Trees for Global Benefit Programme, which has for the last 15 years grown into one of the biggest carbon offsetting schemes in the world (under the Plan Vivo standard of certification), linking rural poor small-holder farmers to the financing of the voluntary carbon market. 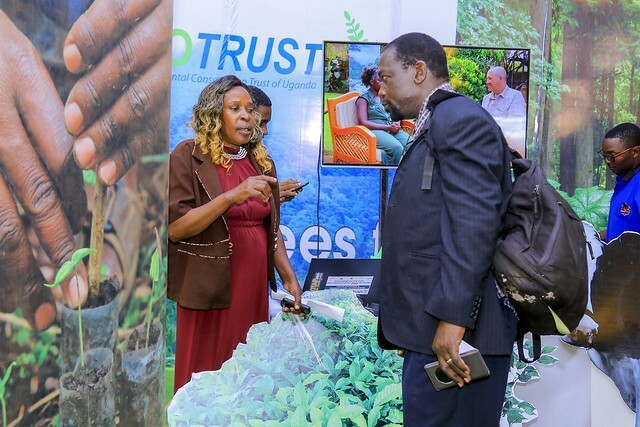 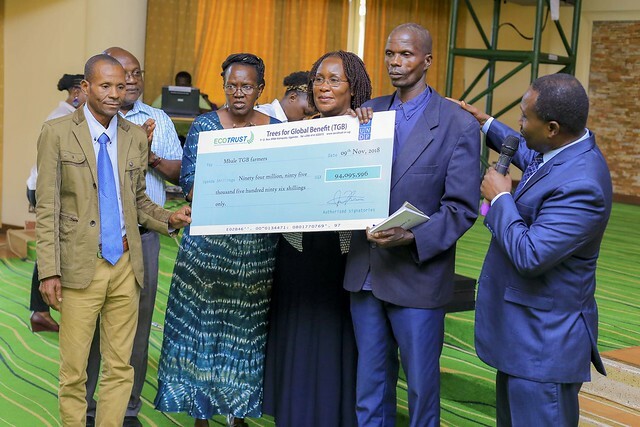 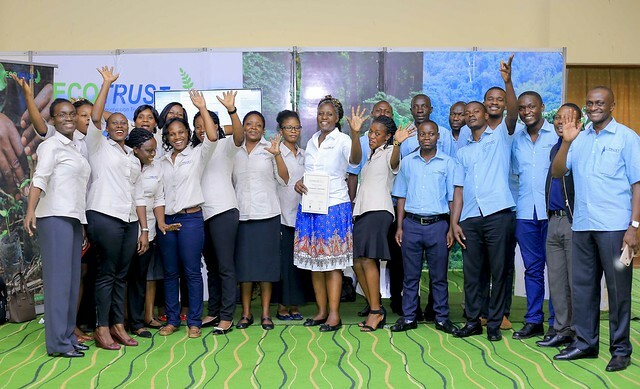 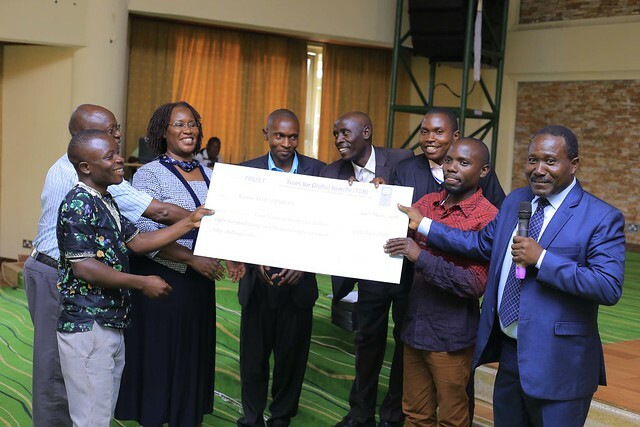 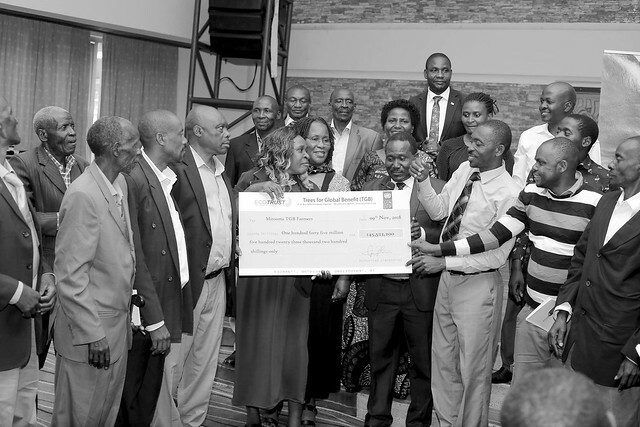 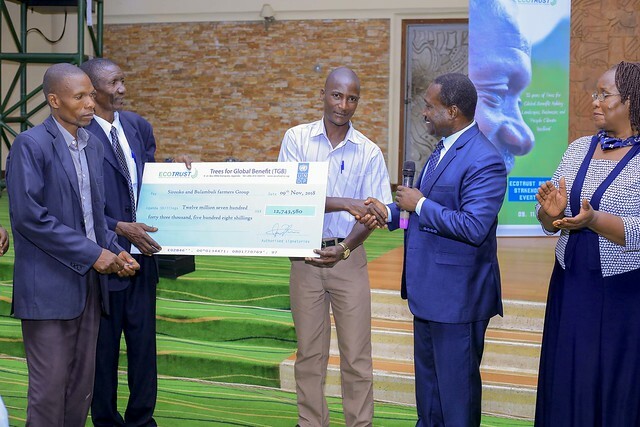 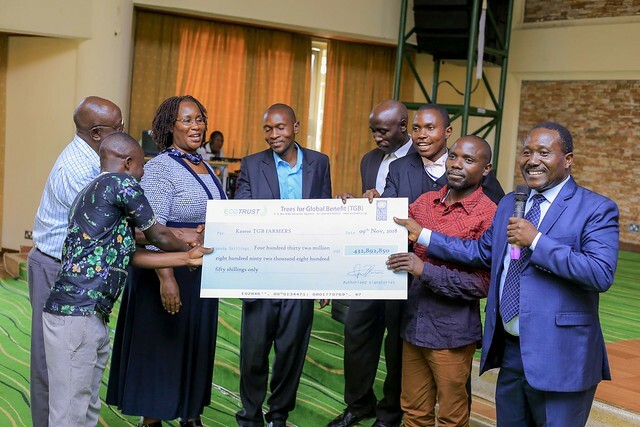 Through the Trees for Global Benefit Programme, ECOTRUST, an indigenous Non-Governmental Organization with a niche in conservation financing has mobilized over USD 6 million in foreign direct investments by working with thousands of small-holder farmers in 11 districts around Uganda. 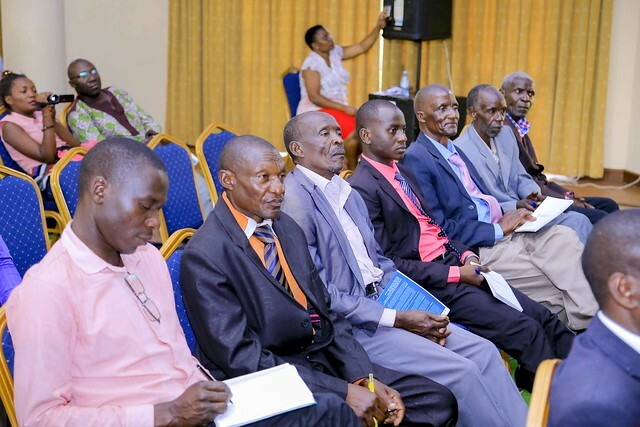 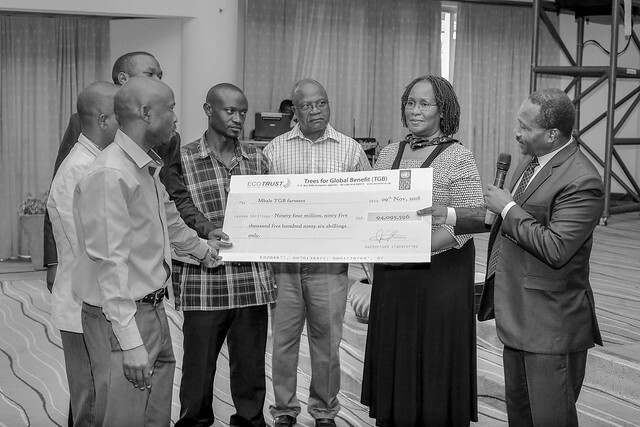 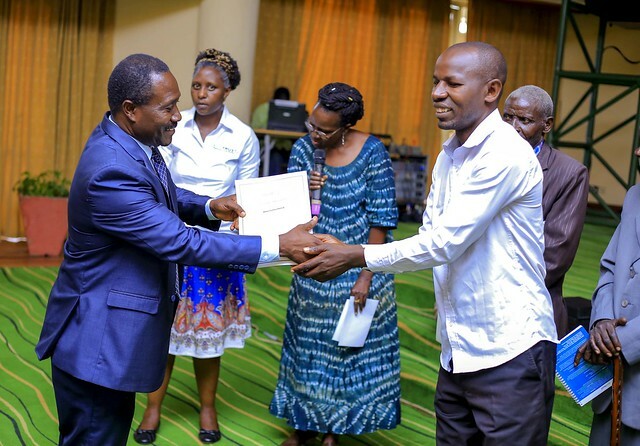 Each one of the 6000 farmers in the Programme has been facilitated to develop a land use plan that doubles as a business plan, based on the integration of trees in the livelihood strategies for their land. 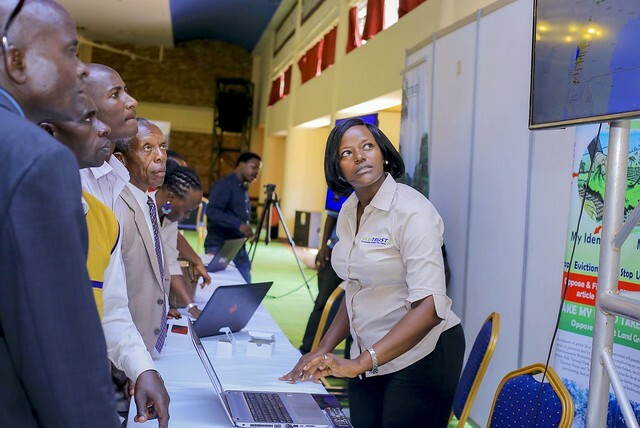 Land use activities are documented and technically specified to quantify the carbon benefits generated from each piece of land. 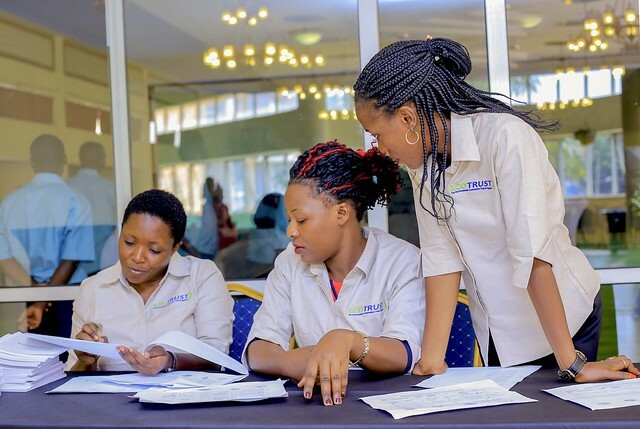 Private sector organizations as well as individuals, estimate their carbon footprint, to which a monetary value is attached. 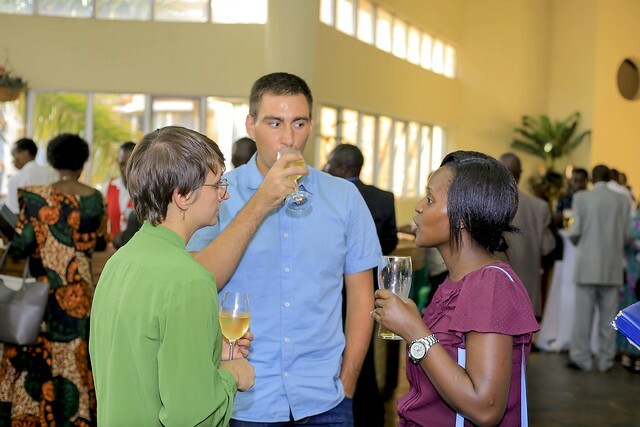 The Programme in 2017 hit it’s one millionth mark of carbon sequestered. 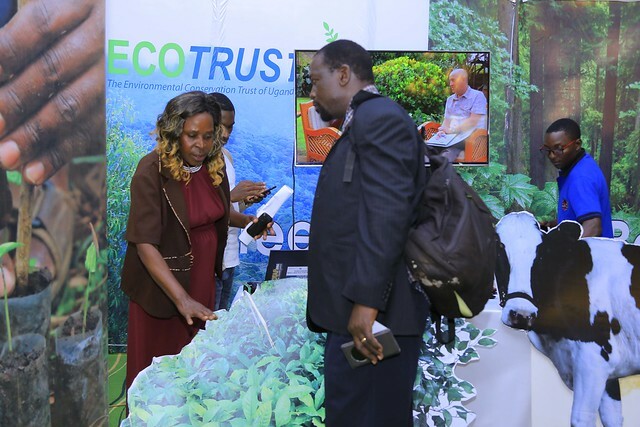 The Ministry of Water and Environment represented by Margaret Athieno Mwebesa at the event, commended ECOTRUST on this level of REDD+ readiness. 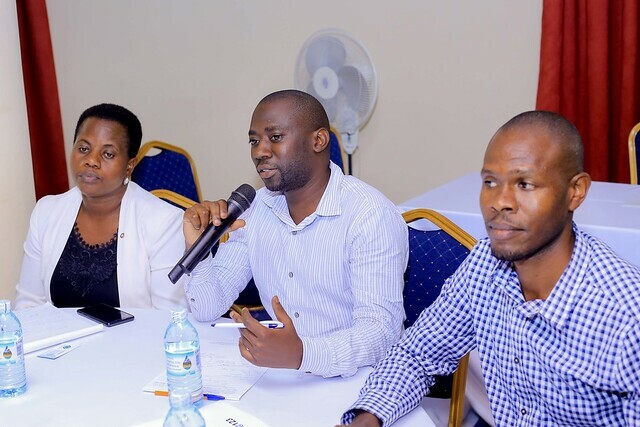 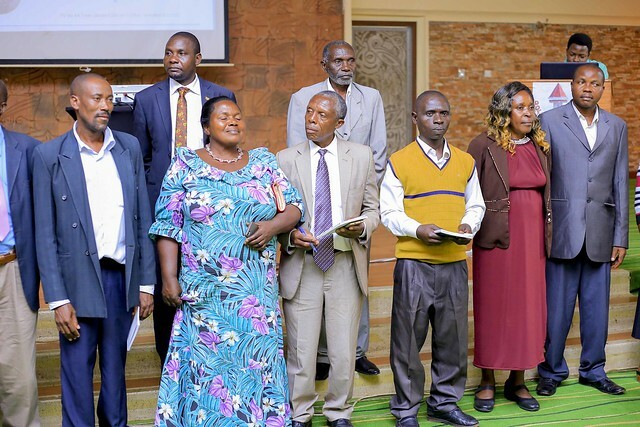 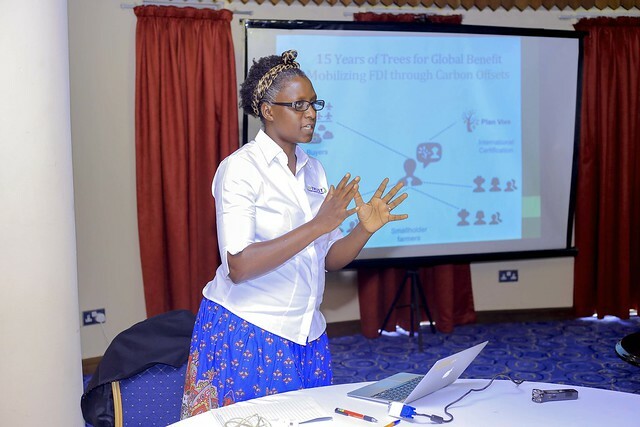 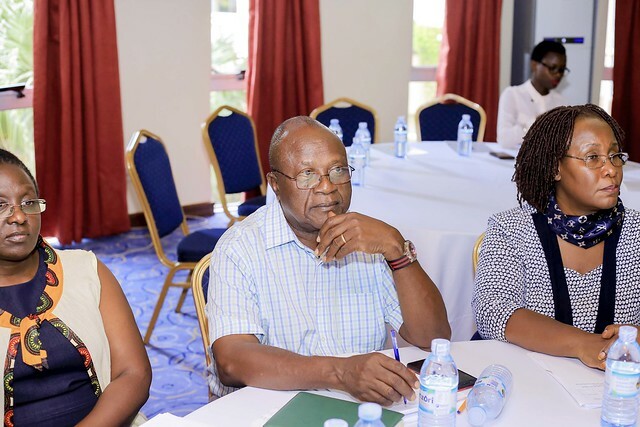 The Government is learning a lot from the Trees for Global Benefit PES model and currently is in the process of working with ECOTRUST to prepare two emission programmes; in the Albertine region and the upper Nile region of Uganda. 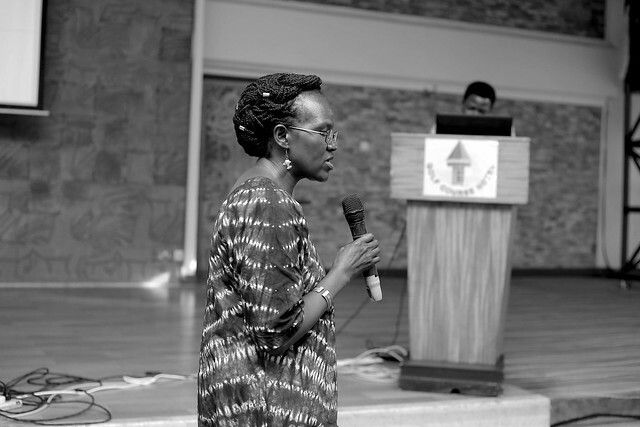 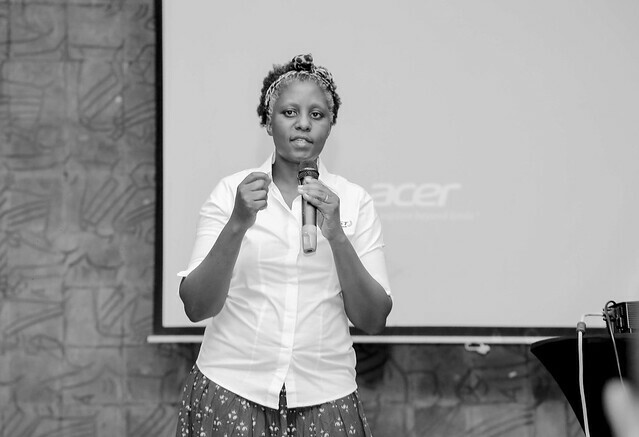 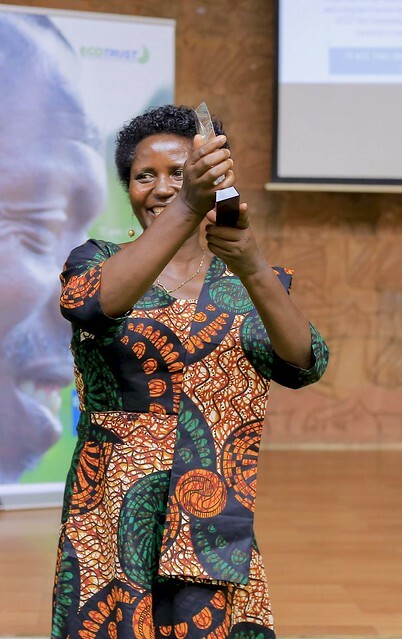 NFA represented by Stuart Manihagura, credited ECOTRUST for her ability to work with local communities in sharing knowledge on conservation and providing support to forest adjacent communities in the creation of meaningful and mutually beneficial CFM agreements. 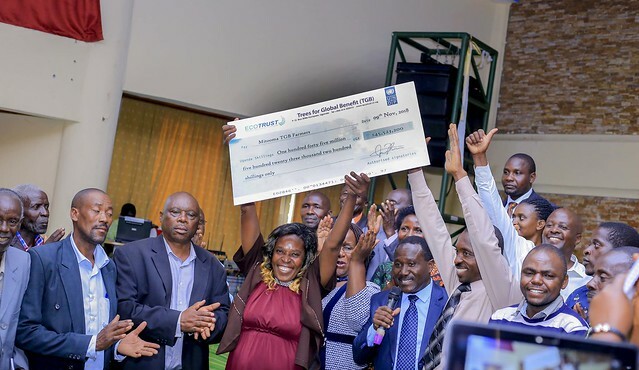 “Payment for Environmental Services is fantastic! 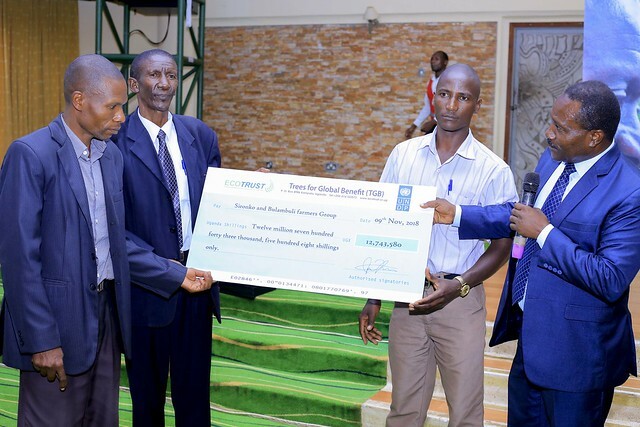 It should be publicized internationally”. 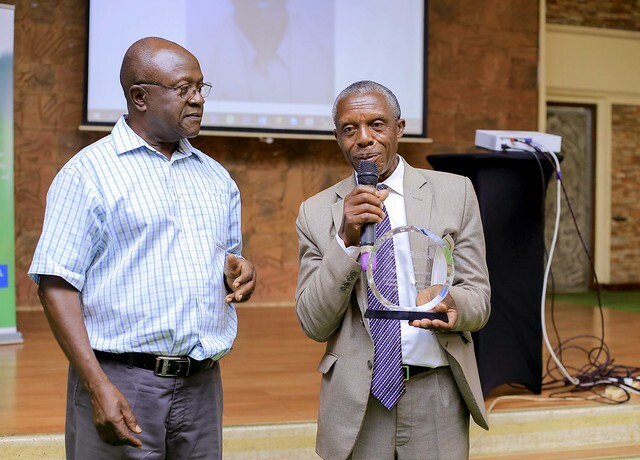 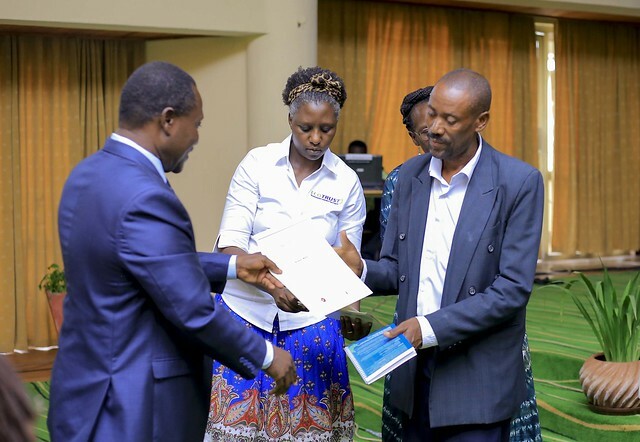 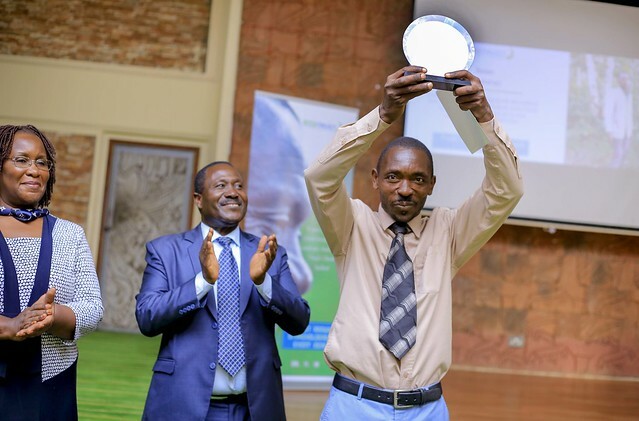 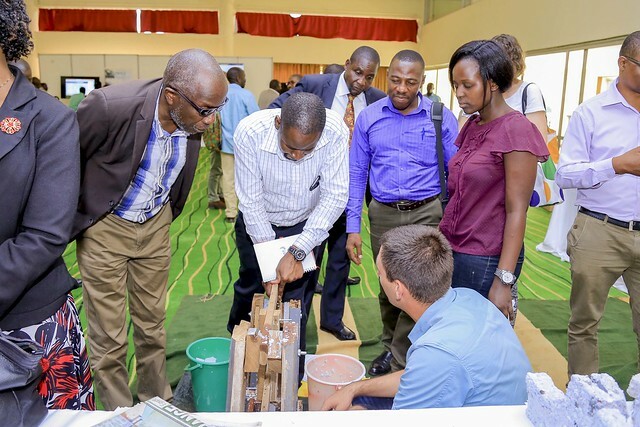 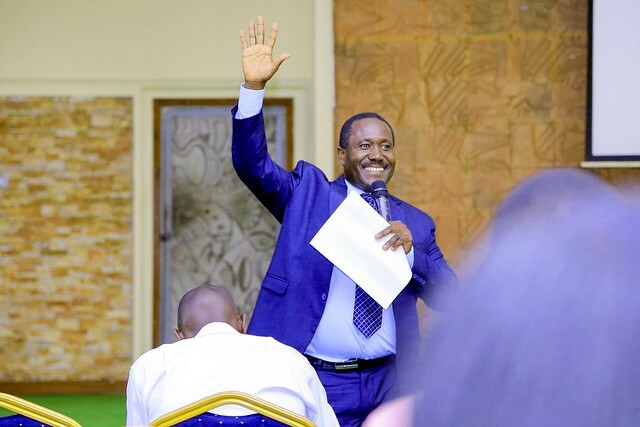 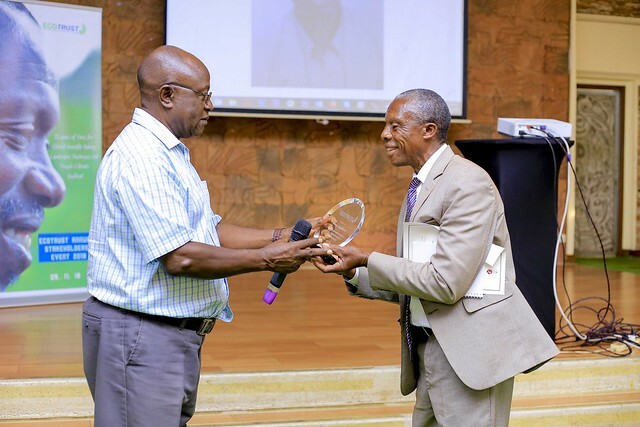 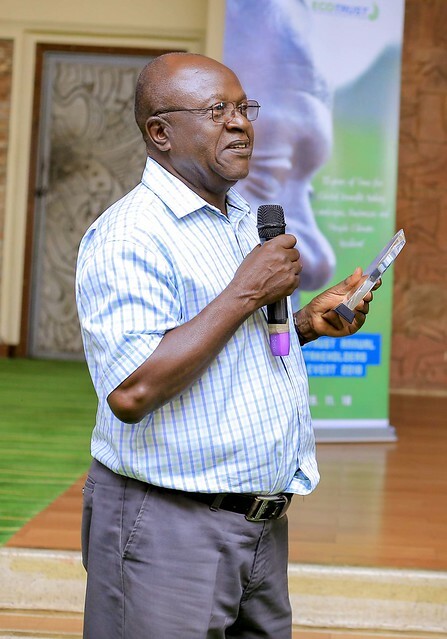 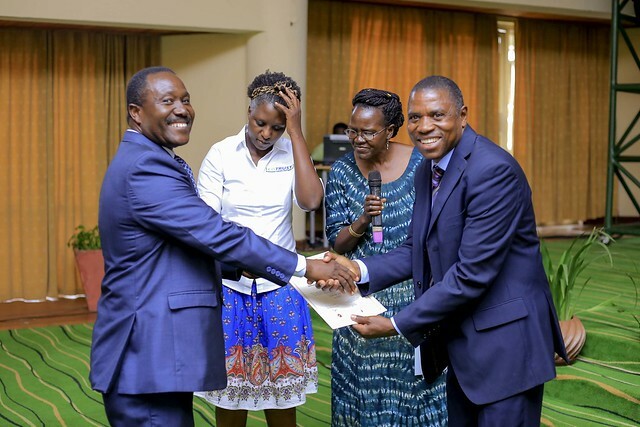 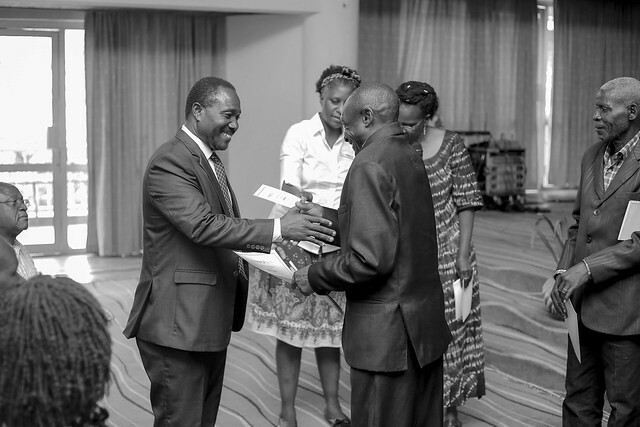 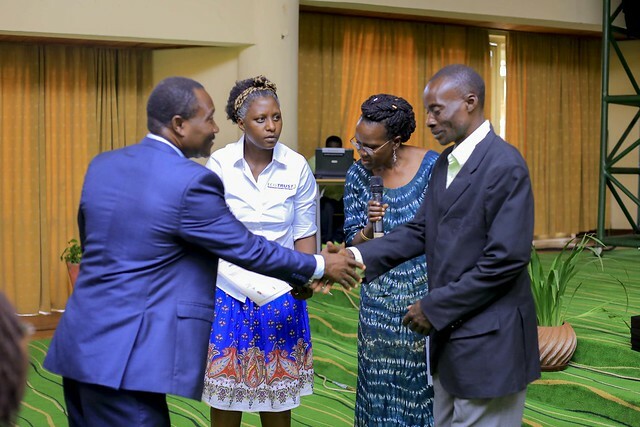 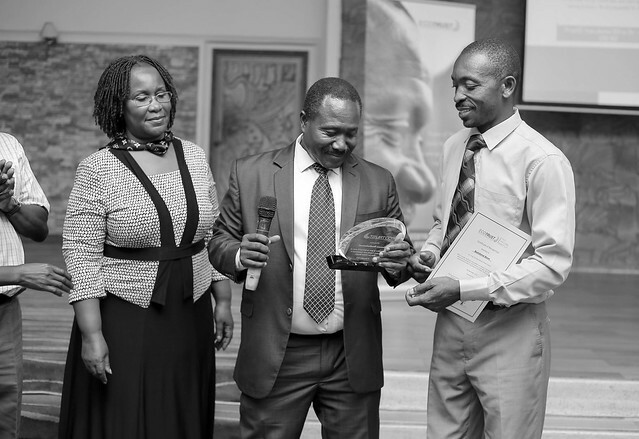 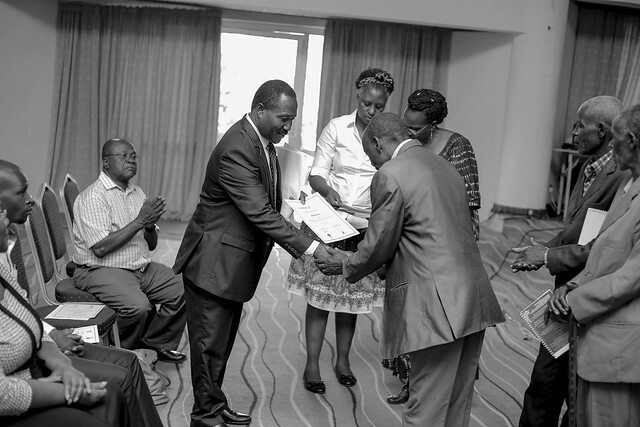 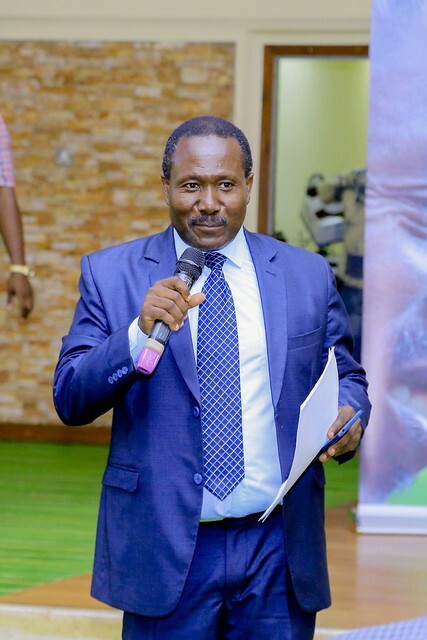 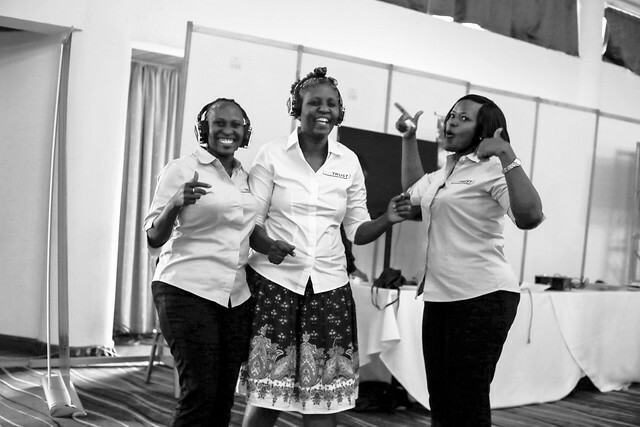 From a buyer perspective on the TGB Programme, Uganda Carbon Bureau represented by Bill farmer commended TGB on 15 years of providing quality carbon credits with the utmost integrity. 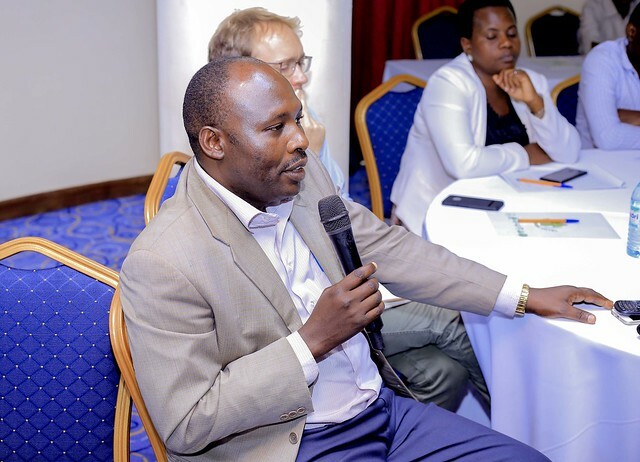 He emphasized the need to scale up such projects as there’s a ready market for these quality carbon credits. 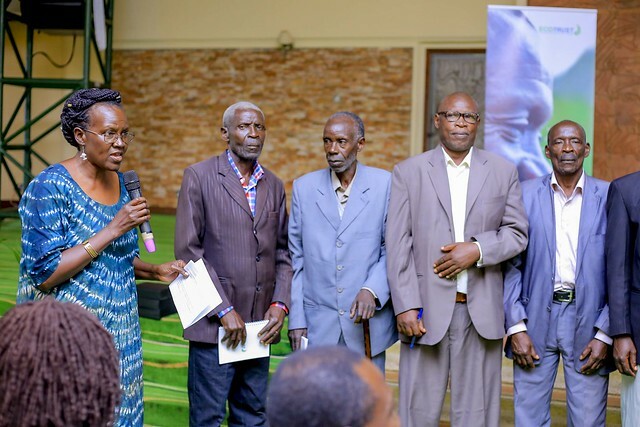 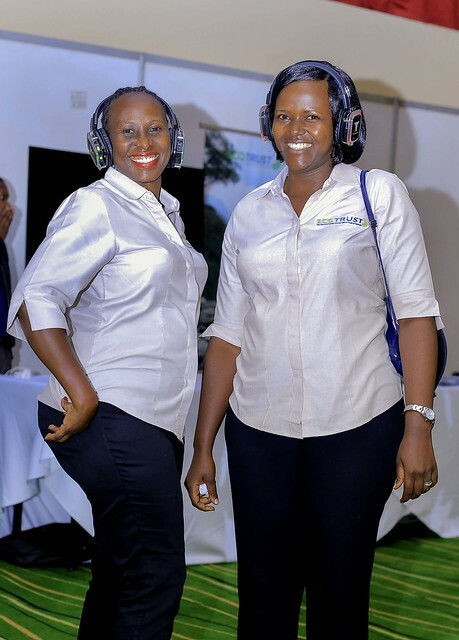 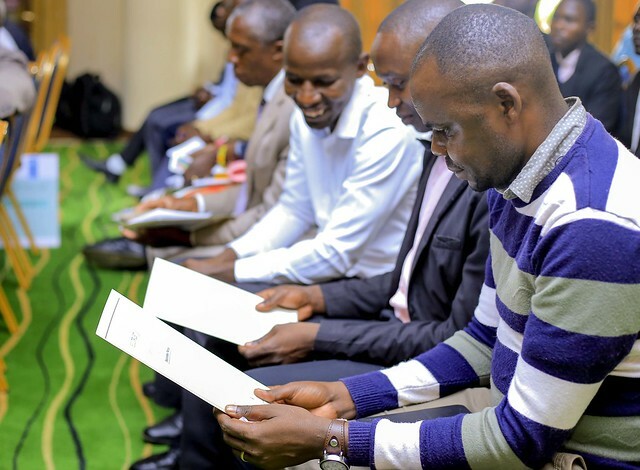 Uganda Carbon Bureau measures carbon footprints for private individuals, linking them to carbon offsetting programmes such as Trees for Global Benefit. 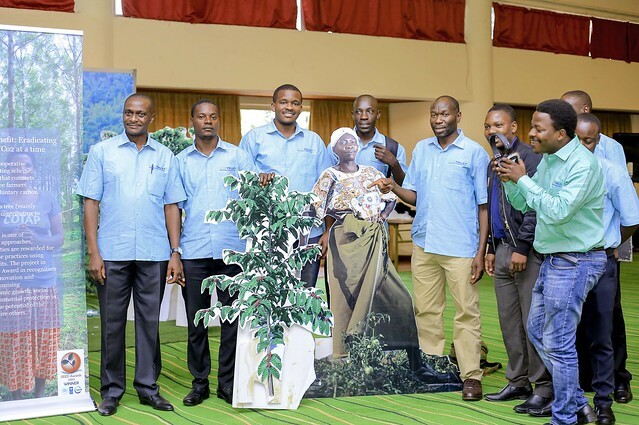 Beatrice Ahibisibwe, one of the TGB pioneer farmers from Bitereko sub-county, Mitooma district, joined the project in its first year of inception together with 4 other farmers from different parishes, all taking a chance on a long-term investment in indigenous tree growing. 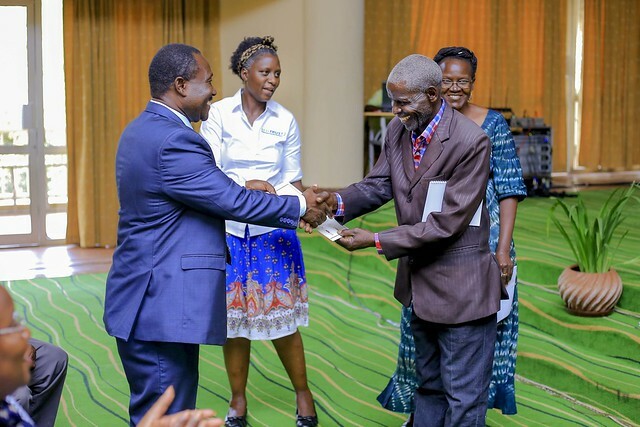 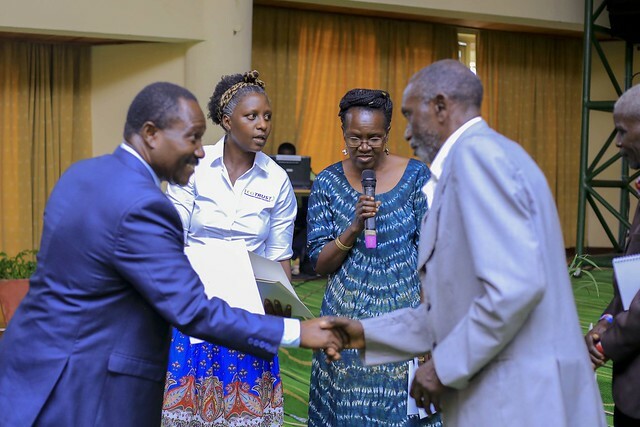 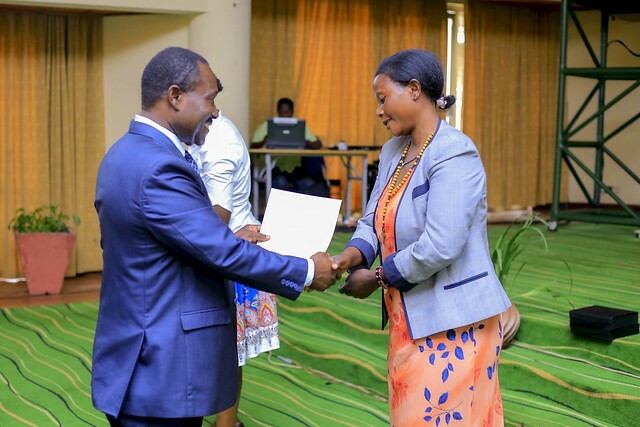 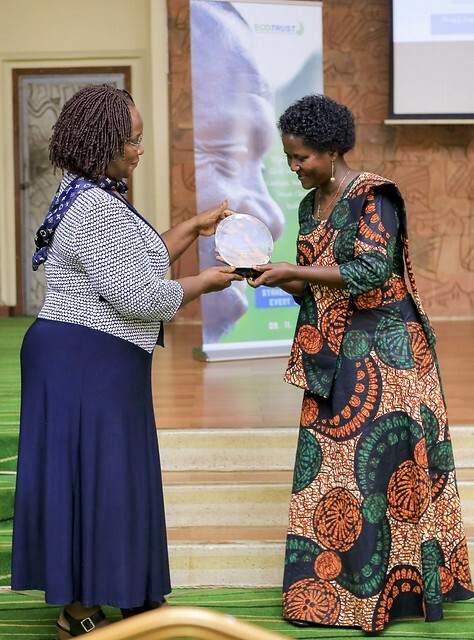 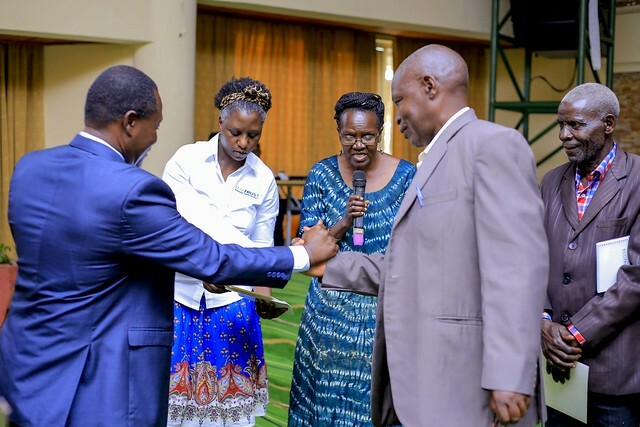 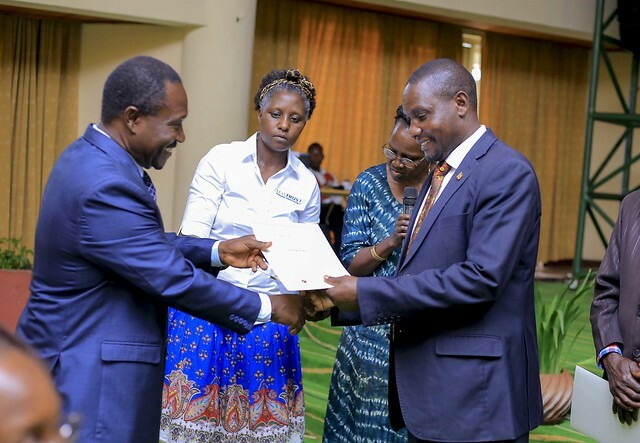 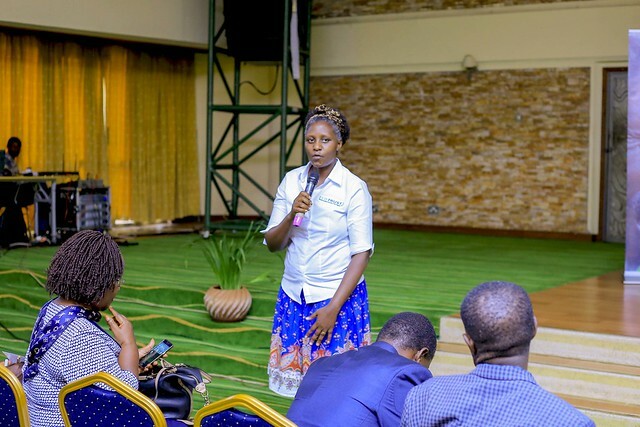 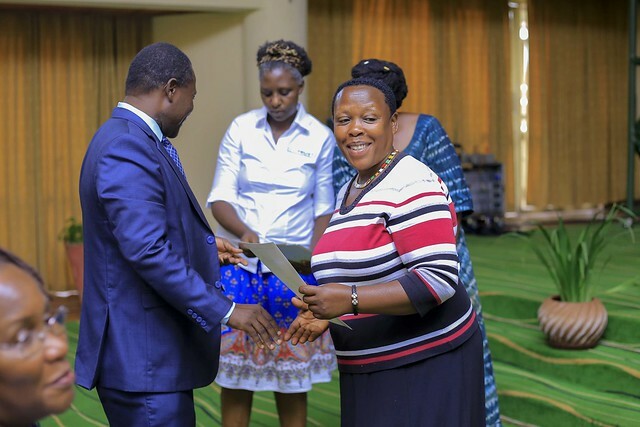 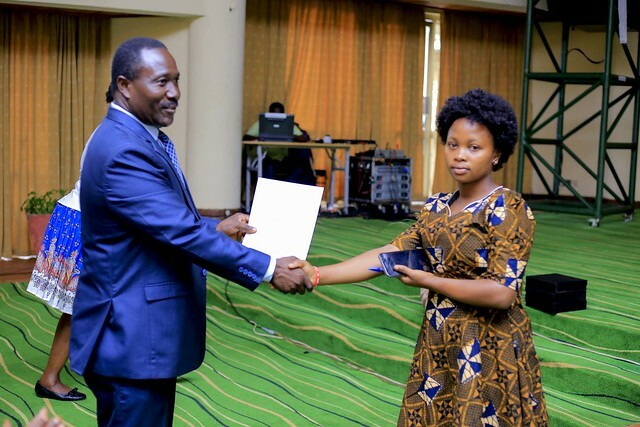 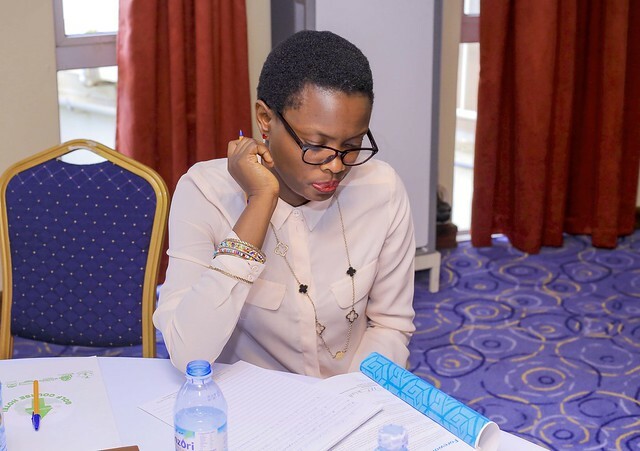 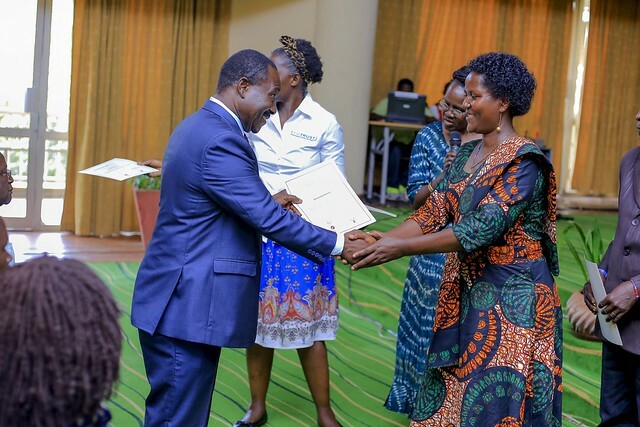 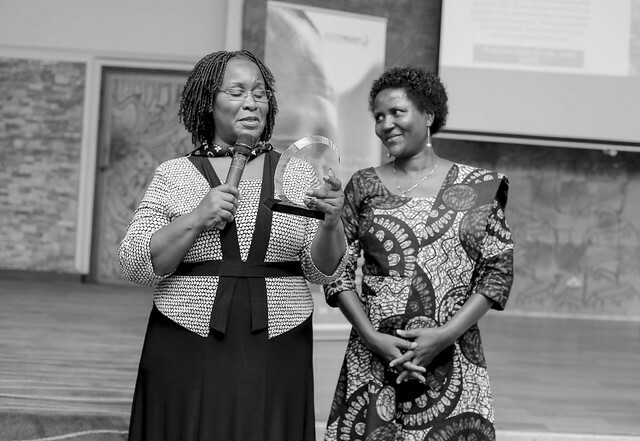 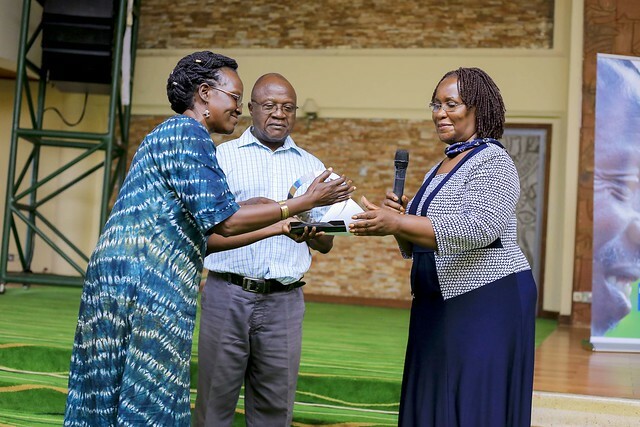 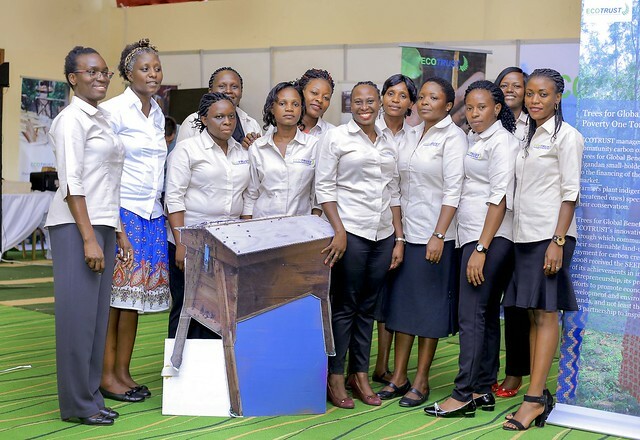 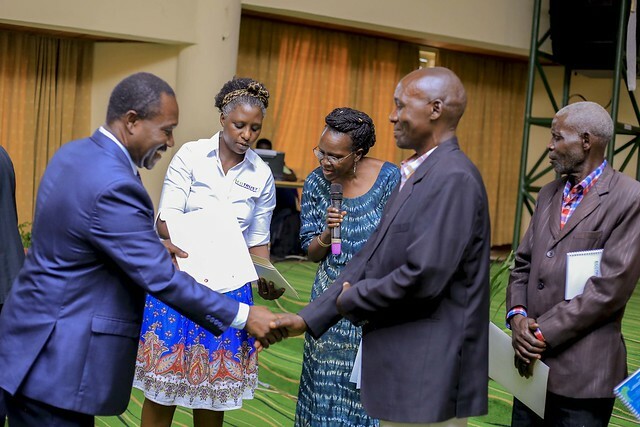 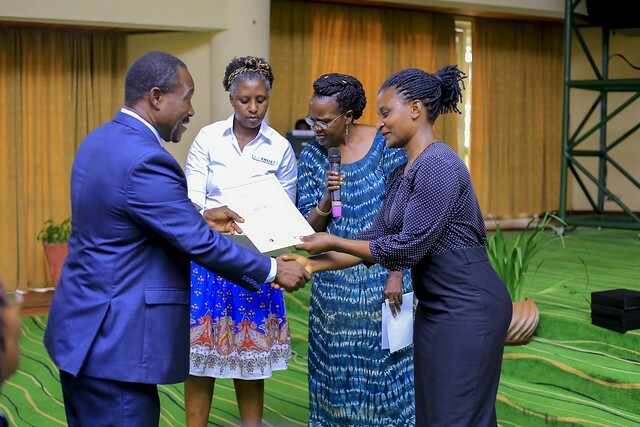 She was recognized for her exception skills in coordinating project activities within her subcounty, playing an influential role in changing attitudes towards tree growing amongst her community members. 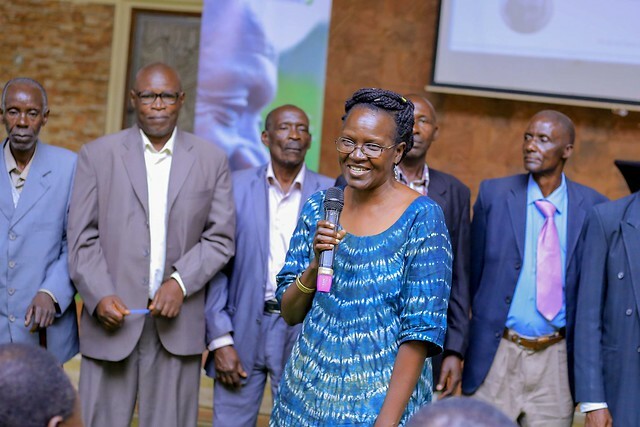 Her subcounty currently has 385 farmers linked to several carbon buyers through TGB. 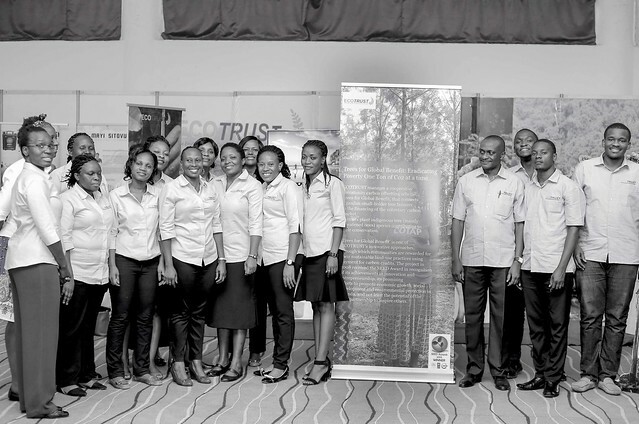 ECOTRUST’s focus is on making forestry and agro-forestry a viable livelihood option especially for the rural poor communities in Uganda, having these activities out-compete other land use practices. 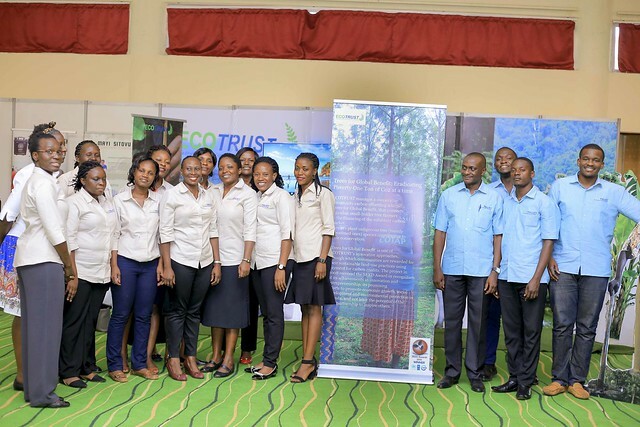 In order to ensure sustainability and indigenous funding for environmental management, the organization has continued to grow an Endowment fund to act as a risk buffer. 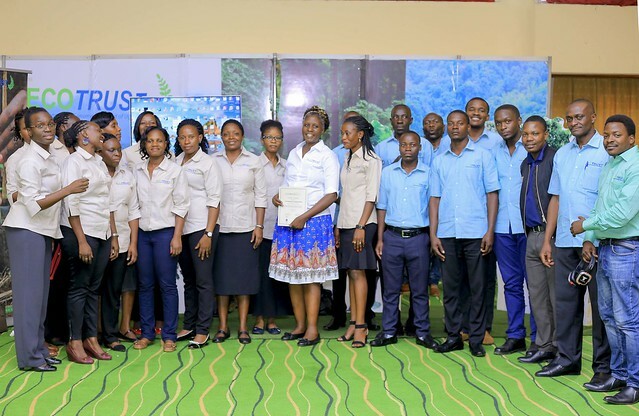 The organization will also scale up and diversify current programme initiatives to include environmental services such as watershed service provision. 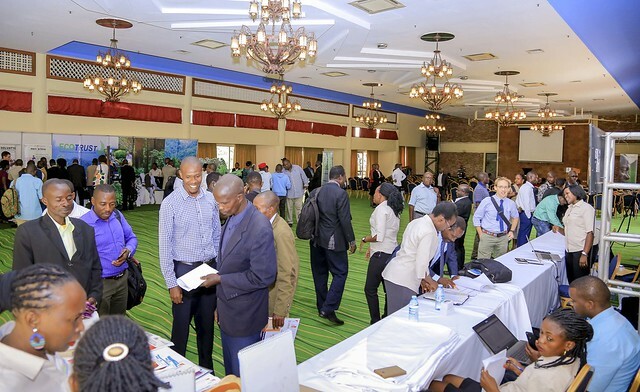 It will look at value chains, best approaches in de-risking investments, digital inclusion and weather index insurance for project participants.